Source. 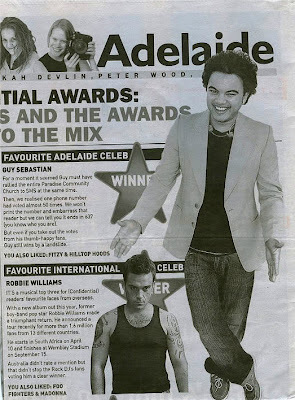 Adelaide Advertiser November 2005. 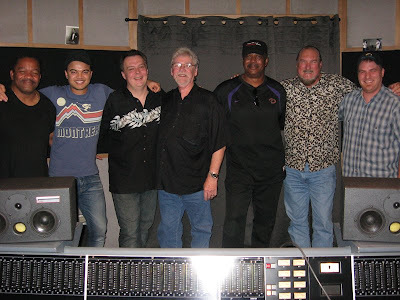 From L to R: Drummer Steve Potts (of Booker T and the MGs), Guy Sebastian, organist Rick Steff, bassist Duck Dunn (of Booker T and the MGs), keyboardist/pianist Lester Snells, guitarist/producer Steve Cropper (of Booker T and the MGs), and engineer Curry Weber of Ardent Studios. Fans of this website know that on weekends and holidays, we tend to get, um, less "news" directed. A few weeks ago, we became enamored with a story about Australian Idol winner Guy Sebastian's sojourn here to record an album with some legendary Memphis musicians. Well, the album is out now and we decided to see what it sounded like, so off we went to Guy's website. There's a nice montage of videoclips of the Bluff City and samples from the songs. We were somewhat surprised (being cynical Memphians) to discover that the little sonofagun can really sing. He nails these tunes. Sebastian is touring Australia with Memphis legends Steve Cropper, Duck Dunn, Lester Snell and Steve Potts. Sustaining a successful career over the long term has proved tricky for many of those who have found fame in the various Pop Idol programmes. They burn brightly to start with, but once the massive television exposure of the contest is over, other names soon replace them in the hearts of the record-buying public. 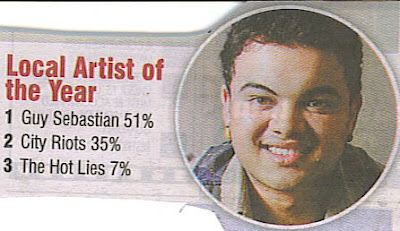 Guy Sebastian, who won the Australian Idol title in 2003, looks like one of the few Idol winners who will be around for quite a while. He has just released his fourth studio long-player — The Memphis Album — which has gone to the top three spots in his home country, despite the fact that it came out without the release of any singles to promote it. Malaysian-born Guy's first three albums mixed pop with rock, R'n'B and a few other influences, and proved that he is as good a songwriter as he is a singer. He co-wrote most of the songs on his second and third albums. Among them were quite a few tracks that rightly deserved the classic status they achieved. For his latest record, Guy has put down his song-writing pen and instead turned to the great songs of the past from his favourite musical genre — soul. He has recorded excellent versions of some of the classics of soul music, including Otis Redding's (Sittin' On) The Dock of the Bay, Let's Stay Together and Knock On Wood. Other highlights include Under the Boardwalk and Soul Man. However, perhaps the best track on the album is Guy's version of In the Midnight Hour. It is electrifying. To give the album added authenticity, Guy recorded it in Memphis with many musicians from the city's legendary Stax record label, which can trace its origins back 50 years. Some of the Stax musicians, including Steve Cropper, the co-writer of In The Midnight Hour, will be touring with Guy in Australia. One thing is clear from this album — Guy really is an excellent soul singer. For his next album, he is said to be working on some original soul songs — and I cannot wait to hear what he comes up with. 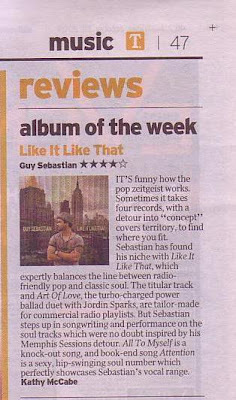 THE Memphis album is Guy Sebastian's best album to date. 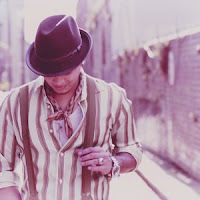 The style suits not only his voice, but also his persona. The tracks are joyful, funky and of course, soulful. He's covered Hold on I'm coming, In the midnight hour, and (Sittin' on) The dock of the bay. To record an album packed with such well-known classics can be a risky business, especially with all the self-proclaimed soul experts lurking on every corner. But luckily for Guy Sebastian he’s supremely talented and revived the tunes for another modern audience to enjoy for a while. In short: A ripper of an album with Stax of appeal. WHO would have thought a more than credible album of soul classics could be produced by a Malaysian-born crooner who won Australian Idol a few years back? 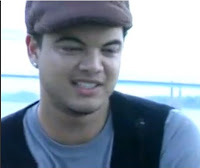 Even the true Memphis buffs are crowing about Guy Sebastian's excellent work on such songs as Soul Man, Hold On, I'm Comin', In the Midnight Hour and (Sittin' On) The Dock of the Bay, accompanied by many of the revered musicians who played on the originals. Sebastian travelled to Memphis, the home of famous Stax Records, to record. Hence the rather unimaginative album title. The studio band included guitarist -- and album producer -- Steve Cropper and bassist Donald 'Duck' Dunn. Sebastian nails the tunes. He's respectful yet unafraid to inject them with a joyous individuality. Best is Al Green's Take Me to the River, a track that chugs away, then cuts down to guitar and bass, and then starts up all over again. There are some things you just don't mess with. Memphis soul music from the 60's and 70's is one of them. There was a certain set of conditions, personalities, and influences that came together to make something perfect that can never be replicated. Sure, you can try to cover a classic song from the period and pay homage to artists who shaped the development of music in the United States. But to put together a complete album? You better have eaten all of your Wheaties. 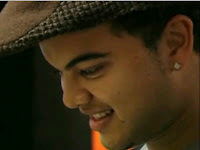 A young Australian singer, Guy Sebastian, has taken on that Herculean task with his fourth album, The Memphis Album. I know what you're thinking: A whole album of covers? Can't he write some material of his own? How can you improve upon or even equal music of such historic weight? Well, to start, to help him with the task are several men who were instrumental in originating the sound when it first got cut on vinyl, including Donald 'Duck' Dunn and Steve Cropper (who I recently mentioned here), two original members of Booker T. and the MG's (and of the Blues Brothers' band). Steve was not only a member of the monumentally important house band of Stax Records, but was also clutch in producing much of the music that other groups put out under the Stax name. Consequently, he also was responsible for producing Guy's album. That says a lot about Guy's artistic prowess when the original musicians come along for the ride. All of the songs on the album are ones that you're familiar with if you've listened to any soul music from the period. They've got the signature Stax organ sound behind them, the tight horn section making themselves heard, with a new voice in front, one that's noticeably different from the originals. Although his vocals are of a different tone, it's clear that Guy has taken much of his style from the period's artists, and he does a very fine job of filling some very large shoes. I'm not going to lie to you, there are a couple of interpretations that don't quite stack up to their predecessors, but as a whole, the album really is a wonderful tribute to some classic music. Main Stream Isn't So Bad...Is It? 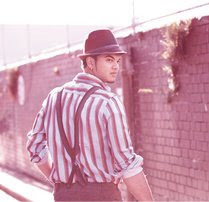 MAINTAINING his prodigious output since being crowned winner of the inaugural Australian Idol back in 2003, angelic-voiced crooner Guy Sebastian has released his fourth studio album, a tribute to the gospel, soul and R&B sounds coming out of America's deep south in the 1950s and '60s. Fans of this music _ or anyone who has ever owned a Commitments soundtrack _ will instantly recognise most, if not all, of the 14 tracks on The Memphis Album, from the smooth Isaac Hayes-penned opener Soul Man, to Take Me to the River and the oft-covered Otis Redding classic (Sittin' On) the Dock of the Bay. But despite the familiarity of the material, Sebastian's trademark vocals unleash something new and pleasing on most of the tracks, his languid take of I Can't Stand the Rain, the upbeat I'd Like To Get To Know You and a raucous version of Wilson Pickett's In The Midnight Hour the standouts. Guy puts those stunning vocals to brilliant use on The Memphis Album, a selection of classic songs set to appeal to fans of every generation. Guy recorded the album in Memphis, the colourful city on the Mississippi River that gave birth to a unique brand of gospel, rhythm and blues. Here, he lived out a musical dream, working with a band of legendary Stax Records musicians including Steve Cropper, Donald 'Duck' Dunn, Steve Potts and Lester Snell. The result is a modern take on some of the most evocative soul classics of the '50s and '60s, a passionate reinterpretation of timeless tunes, and a thrilling showcase for Guy's extraordinary talents. 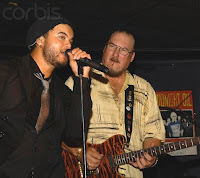 All Memphis Music first heard about Guy Sebastian from our good friend Steve Cropper back in October 2007. Steve's excitement was so obviously genuine and heartfelt. Also our friends at Ardent recording Studio kept mentioning this guy, named Guy from Australia, who had recorded this fantastic album. Cropper sent us a promo copy early in December, and from the first listen we were blown away by how good these recordings were, and how much they moved us. 11 great Memphis soul classics, a Ray Charles song and a Drifter's song, both R&B classics, and an original composition by Guy himself. Guy took these songs, already etched forever in our minds and made them his own. The true mark of a great vocalist. And what a great band he lined up to play on this record with him. Steve Cropper on guitar, who also co-produced the record. Donald 'Duck' Dunn on bass, Steve Potts on drums, Lester Snell on piano and keys, Dave Smith on bass on a few songs on the record, Jim Spakes on the tenor saxophone, Kirk Smothers on barotone sax, Scott Thompson on trumpet, Howard Lamb on trombone, and beautiful background vocals by Susan Marshall and Jackie Johnson. This band plays music as funky as two week old train smoke and as soulful as a sardine syrup sandwich. 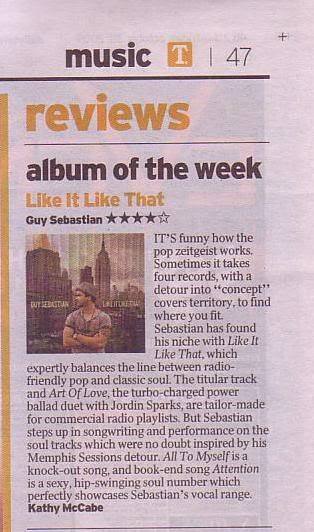 Guy Sebastian "The Memphis Album"
Talk about a tonne of pressure heading into a review! As a somewhat clueless metal-head, I was dragged along to a concert last week which I had little interest in; Guy Sebastian and the MGs (also known as the Blues Brothers Band or the Stax band) performing the hits from Sebastian’s ‘The Memphis Album’ in Newcastle. One long drive back and a bit of time on the lappy later, and I had written about what was, in my opinion, the single best concert experience I had ever been to. What resulted from my 10/10 score for this concert was a tonne of hits on this very site, and my discovery of a rather large group of rabid Guy Sebastian aficionados congratulating me on both my review and my discovery that this man is much more than just the first Australian Idol winner; he is, in fact, a brilliant artist and performer. Despite the fact Memphis-style music is not exactly my chosen genre, I was still looking forward to receiving my copy of ‘The Memphis Album’ for review with an eagerness usually reserved for a nice display of head-banging. The first glance at the tracklist immediately dragged me back to memories of my childhood; I grew up in a household where the Blues Brothers was played on tape at least every other week, and all the old classics still have a place in my heart (if not my iPod). From the opener ‘Soul Man’ to the final track ‘Under the Boardwalk’, it becomes immediately obvious that Sebastian has managed to not only successfully rerecord these classic tracks, but also bring a unique reinterpretation of each hit using his own vocal style. This really is quite an amazing feat; there are many artists with decades more experience than Sebastian who are absolutely terrified to even attempt to bring their own spin to a classic song; Guy accomplishes this effortlessly. The one new track appearing on the album (‘I’d Like To Get To Know You’) does not feel remotely out of place, and is a very catchy, well written piece of music; like every song on the CD, this one will have you bopping away in your seat, if not just dancing outright. If there is one criticism that I can make of the combined musical might that is Guy Sebastian and the MGs on ‘The Memphis Album’, it is that the recording sounds just a little too…perfect. It may be an odd complaint to make, but after experiencing the raw power and passion of the live performance, the recorded version seems to (ironically) lack just a little soul. That’s not to say that the album is not extremely technically proficient; it absolutely is, and it is an incredible musical work which will not look out of place on your shelf. 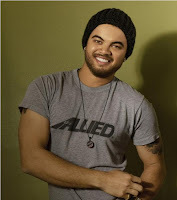 It’s just that it occasionally feels like ‘The Memphis Album’ was slightly overproduced for what it was meant to be; Guy Sebastian going back to his Soul music roots by going back to the roots of Soul music (I’m proud of that sentence). While this goal was largely accomplished, I can’t help but feel that they may have been better served by trying to keep it just a little more raw. Don’t let that little bit of criticism throw you off though; it says a great deal about the level that Guy Sebastian has reached when the worst that can be thrown at him is that he sounds too perfect. As it is, ‘The Memphis Album’ is still easily the best album I’ve heard in quite a long while; in fact, I’m retroactively making it my album of 2007. If anyone reads this that actually doesn’t own the album…well what are you waiting for? Guy Sebastian has well and truly come of age as a singer, songwriter, performer, and pretty much anything else he wants to be. Forget what you think you know about the man; I know I have. Instead, just go and pick this album up, give it a listen, and enjoy a musical experience which harkens back to the heyday of Soul music while still managing to have its own modern vibe. 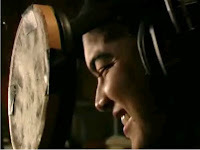 On The Memphis Album, Guy Sebastian nimbly sidesteps earlier issues of writer's block by traveling to Ardent Studios in Memphis to record 14 gems of '60s Southern soul, using many of the musicians who had worked on the original recordings. With many definitive classic songs — Knock on Wood, In the Midnight Hour, Soul Man, Dock of the Bay, Take Me to the River — The Memphis Album is a superbly skillful record, less interpretive than evocative, with all the ingredients perfectly balanced to win an international audience for the Australian Idol winner. Kicking off with the Sam & Dave classic Soul Man, Sebastian immediately shows his intentions are sincere, respectful, as he fills the song with grace, power, and dignity. The instant immediacy of the backing music makes authenticity unquestionable — there is no mistaking that Stax sound — fat horn lines, funky guitars, and syncopated percussion lock the listener into a perfect groove until the very end of the record. By using many of the original musicians of the era — Steve Cropper, Donald 'Duck' Dunn, Steve Potts, Lester Snell, and Dave Smith — Sebastian has created a perfect platform to display his impressive range of expression and technical prowess. What is lacking in all these recordings, though, is what makes all of the original versions so essential. Memphis soul has deservedly achieved mythical importance in the canon of American music. In the '60s the small southern city was a mecca for southern musicians; Stax and other local labels produced music colored by racial tension, economic hardship, and the prevalent sense of institutionalized injustice. Less sugar-coated than the Motown sound, Memphis soul uniquely reflected its geography and time by brilliantly combining the sweeping inclusive beauty of gospel with secularism, carnality, and outrage, creating a distinct and compelling sound independent of any specific artist. The original versions of the songs on The Memphis Album — by Otis Redding, Wilson Pickett, Sam & Dave, Al Green, and others — stand tall as a heady mixture of earthiness and anger, lust and hope, joy and sadness; each song imbued with a vital urgency that made the listener feel the artists have lived the lyrics, that their own passion and pain bled into the songs. Of course it is unfair to criticize Sebastian — born two decades and an ocean away from Memphis — for being unable to nail this nebulous vibe, the "spirit of the times." What Sebastian brings to the table is a wonderful voice, heartfelt respect, and skillful presentation. His range, style, and tone are all remarkable, and his technique so polished that it could be argued (at the risk of being blasphemous) that he occasionally improves on the original recordings, sweetly gliding through parts shouted by the originals. With the exception of an insipid "Under the Boardwalk," all of the selections are top-notch, adeptly produced, excellently performed, with Sebastian pouring himself whole-heartedly into the material. The Memphis Album quickly went double platinum in Australia, and Sebastian toured Australia with the MGs as his support band. Featuring the Memphis "funk brothers" of 'Duck' Dunn and Steve Cropper, the concerts were hugely successful, culminating in a live concert DVD; the rave reviews generated an international release of the album plans for world-wide touring. 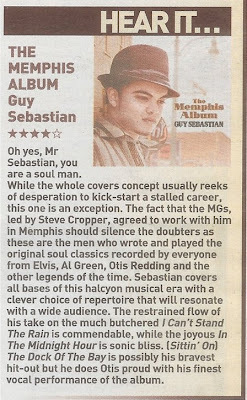 The Memphis Album is an excellent introduction to Memphis soul for neophytes, and a good introduction to Guy Sebastian for those unfamiliar with his talent or intellectually averse towards any Idol releases. 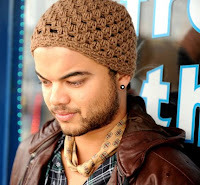 For die-hard soul collectors, the backing tracks alone by the MGs and Memphis horns should be enough incentive to pick up the CD; Guy Sebastian's sheer talent will be a nice revelation. Recommended. 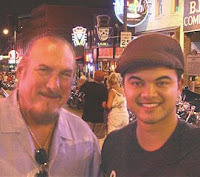 All Memphis Music first heard about Guy Sebastian from our good friend Steve Cropper back in October 2007. Steve's excitement was so obviously genuine and heartfelt. Also our friends at Ardent recording Studio kept mentioning this guy, named Guy from Australia, who had recorded this fantastic album. Cropper sent us a promo copy early in December, and from the first listen we were blown away by how good these recordings were, and how much they moved us. 11 great Memphis soul classics, a Ray Charles song and a Drifter's song, both R&B classics, and an original composition by Guy himself. Guy took these songs, already etched forever in our minds and made them his own. The true mark of a great vocalist. And what a great band he lined up to play on this record with him. Steve Cropper on guitar, who also co-produced the record. Donald "Duck" Dunn on bass, Steve Potts on drums, Lester Snell on piano and keys, Dave Smith on bass on a few songs on the record, Jim Spakes on the tenor saxophone, Kirk Smothers on barotone sax, Scott Thompson on trumpet, Howard Lamb on trombone, and beautiful background vocals by Susan Marshall and Jackie Johnson. This band plays music as funky as two week old train smoke and as soulful as a sardine syrup sandwich. Curry Weber: "Hi I’m Curry Weber. I’m a recording engineer over at Ardent Studios. I want to talk a little bit about the engineering stories doing Guy’s record. One of the cool things was when Steve Cropper came in he wanted to mike the B3 organ a certain way and it was cool to be able to see something that worked 40 years ago still sounding good today. Another thing we got to do was record to analogue tape. And not a lot of artists these days can afford to that, just because of budget restrictions. Going to tape is just such a richer and warmer tone when you hit it first of all. Not a lot of guys these days are talented enough to go to tape, cause it’s so definitive and destructive. When you’re on tape, it’s on tape, and its really hard to go in and fix a bunch of stuff like you can with computer these days. But just having all those guys out there on the floor. You know those guys are amazing musicians, so going to tape was easy for them. And that was just such a great experience to see all that talent out there, and it going straight to tape and it stuck, and everything was brilliant."